While Non-Banking Financial Companies (NBFCs) in India are doing well, there is a growing interest in the country to register new companies. It is, therefore, important to know the eligibility norms to start a NBFC business. 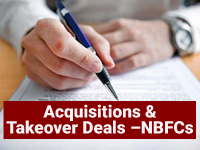 The following paragraphs intend to highlight such essential norms for different types of NBFCs. It should have a minimum net owned fund of ₹ 200 lakh. 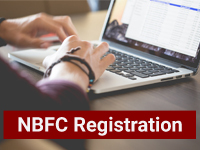 (The minimum net owned fund (NOF) required for specialized NBFCs like NBFC-MFIs, NBFC-Factors, CICs is different as it is decided on the kind of NBFC , it is desired to be registered. The eligibility criteria for NBFCs as sponsors of IDF-MF is that it must have minimum net owned funds of Rs.300 crore, CRAR of 15% and NPA should not be more than 3% of net advances. It should be in existence for the last 5 years before application, and profitable in last three years. Micro Finance Company is a type of NBFC which is in a business of micro (small) credit to a special type of borrowers. It is also known as Micro Finance Institution (MFI). No company other than registered with RBI can do the business of MFC. Even the Nidhi Companies are not allowed to do so. #Step 1: Register a Company: This is the first step to register the Micro Finance Company (MFI) in India. 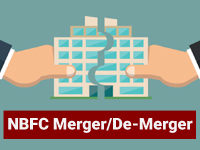 It could be a private limited company or a public limited company. Once you have registered a company, you can then proceed for the next step. #Step 2: Raise Authorized and Paid up Capital to two Crores: The next step is to raise the share capital both authorized and Paid up to Two Crores Rupees. This is because to register an NBFC in India, the minimum net worth required is Rs.2 crore. #Step 3: Deposit Rupees Two Crore in Fixed Deposit and obtain Certificate: After raising the capital amount, the next step is to deposit the sum of Rs.2 crore in Fixed Deposit and obtain a certificate of no lien from the bank. This shall be attached with the application when filed with the Reserve Bank of India (RBI).